Remington UMC training ammunition is one of the most reliable and trustworthy ammunition lines available today. As America’s oldest firearms manufacturer, Remington’s legacy of excellence spans more than 200 years and the company continues to innovate at their state-of-the-art facility at “The Rock”. 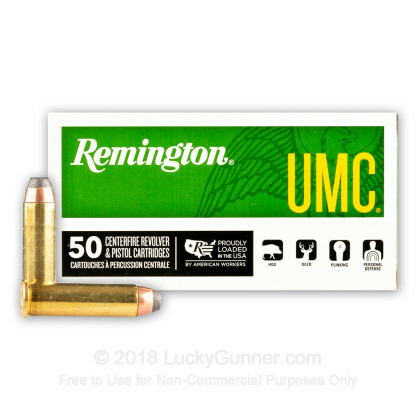 Remington UMC .357 Magnum ammunition is a great choice for pistol hunting light to medium game including deer, boar and elk, while also serving as a self-defense round with adequate expansion after impact. 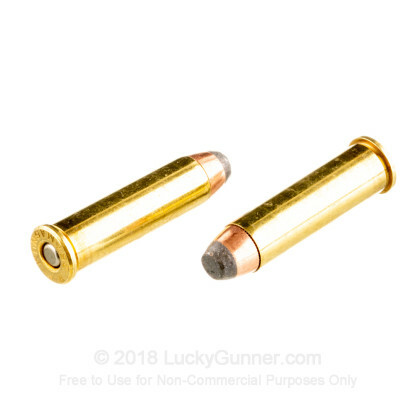 These 125-grain jacketed soft point loaded rounds feature Boxer-primers, noncorrosive reloadable brass cases and are capable of a hard-hitting muzzle velocity of 1450 FPS. 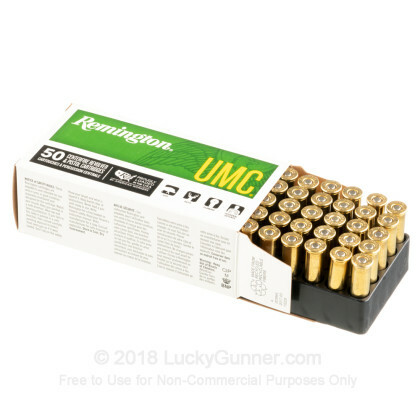 Each box of Remington UMC .357 Magnum contains 50 rounds. Remington may be one of the best ammunition manufacturerers and do believe Lucky Gunner is the best ammo retailer. Impress your friends at the range! This is full power .357 magnum ammo. From my GP-100 with a 6" barrel, this ammo averaged about 1,625 fps for six rounds with stout recoil and a big noise. Noticeable muzzle flash and b/c gap flash indoors and outdoors in low light. Great stuff! 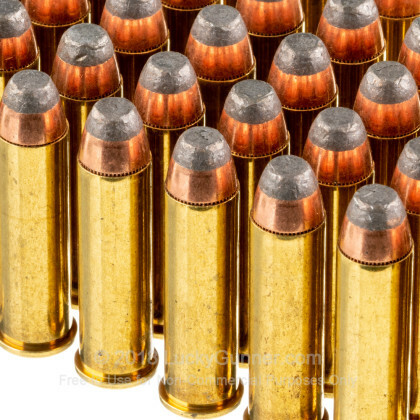 Given the price and recoil, I limit myself to no more than 24-30 rounds at each session. This is a real magnum round. Lots of flash and noise. A bit hotter than some off brands and very accurate from my 4" S&W L frame. Decent price for good quality ammo. Will buy more of it. A little dirty but have never had a failure! 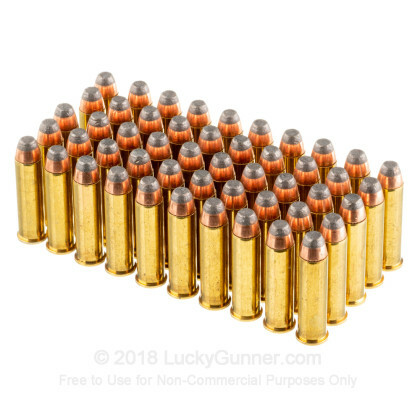 I have shot 300 + rounds of this ammo from my 4" GP 100. Always Turns heads at the range...Big Bang, Big Flash!! People ask if I'm shooting a 44 mag. EVERY TIME I BUY THE SHIPMENT IS RECEIVED IN TACT AND FAST. PRICES ARE THE BEST I KNOW OF AND ALL THE PRODUCTS WORK AS EXPECTED. 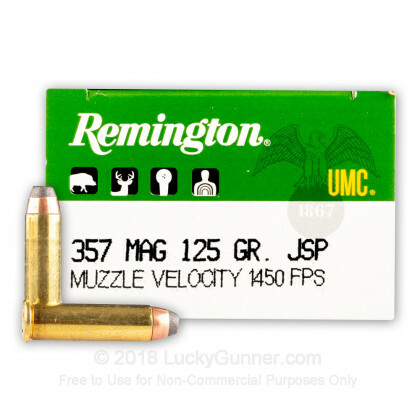 We also have this 357 Mag - 125 Grain JSP - Remington UMC- 500 Rounds ammo in stock in a bigger quantity.